Is there anything as timeless as Ralph Lauren and his impeccable, constantly beautiful style? Perhaps the RL children’s line? It’s every bit of the All-American classic wonder of RL, but made that much most gorgeous because our little ones are the people wearing it! 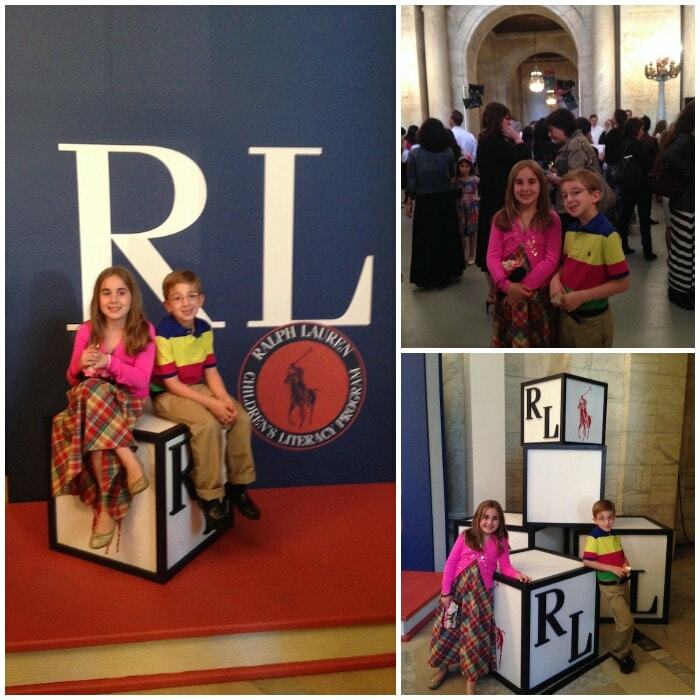 While Vera was away on business, I had the extreme pleasure of attending the Ralph Lauren Children’s Fall 2014 Fashion Show at the stunning New York Public Library “Main Branch” next to Bryant Park with Natalie and Liam. You couldn’t have picked a better location for a more iconic fashion label. Well done. The event was hosted by Uma Thurman in support of literacy at the at the New York Public Library. 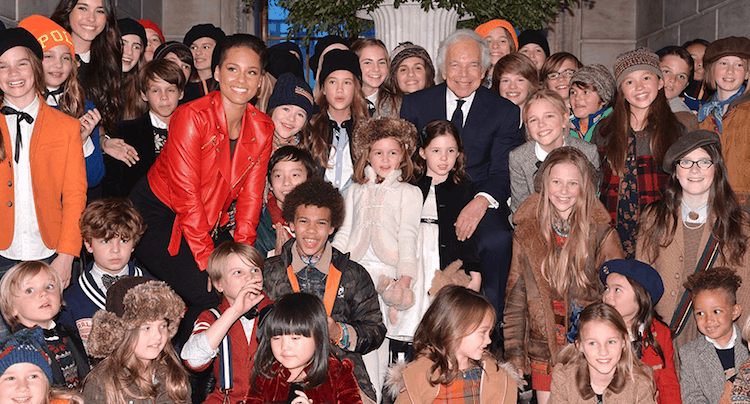 The Ralph Lauren Children’s Literacy Program is committed to boosting literacy for children in need by providing access to books. Alicia Key’s son Egypt even made his modeling debut! Edie Falco, Tyson Beckford, Madison Beers, and more celebs were in attendance as well! 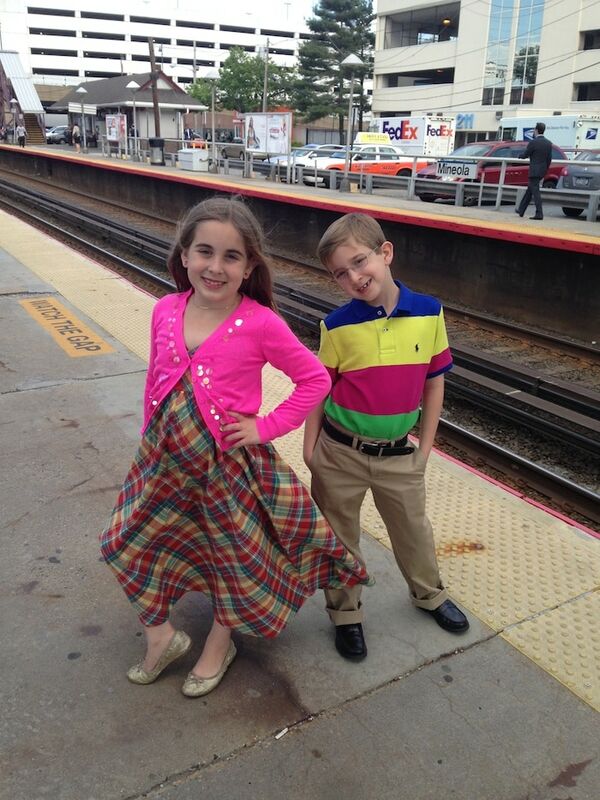 Time to go…Natalie and Liam were looking amazing in Ralph Lauren. Seriously, they knew they were getting ready to go to a fabulous event! Somehow, they even made the LIRR train station look pretty special. When we first arrived, it was time for some pics and a very nice cocktail hour…juice drinks, sliders, and mini-grilled cheese all around! Natalie and Liam loved it, and I think they felt “big” being at a cocktail party with so many grown-ups in such an impressive setting. We also took some pretty beautiful shots! Now, on to the show. It was great, a really fun time. Beautiful, playful, classic clothing as you would expect and hope for. Ralph Lauren just does not seem to disappoint. 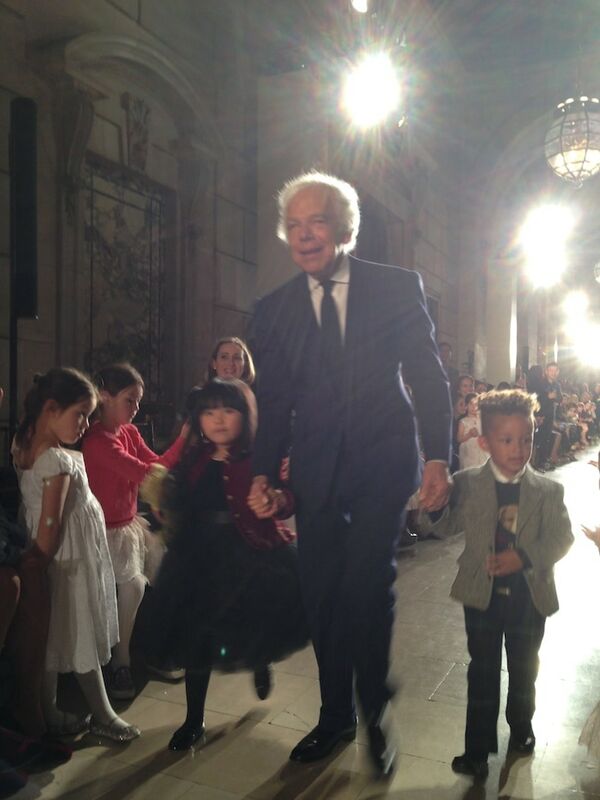 Front row seats and some great shots of the action, including the icon himself, Mr. Ralph Lauren. Can’t really beat that. 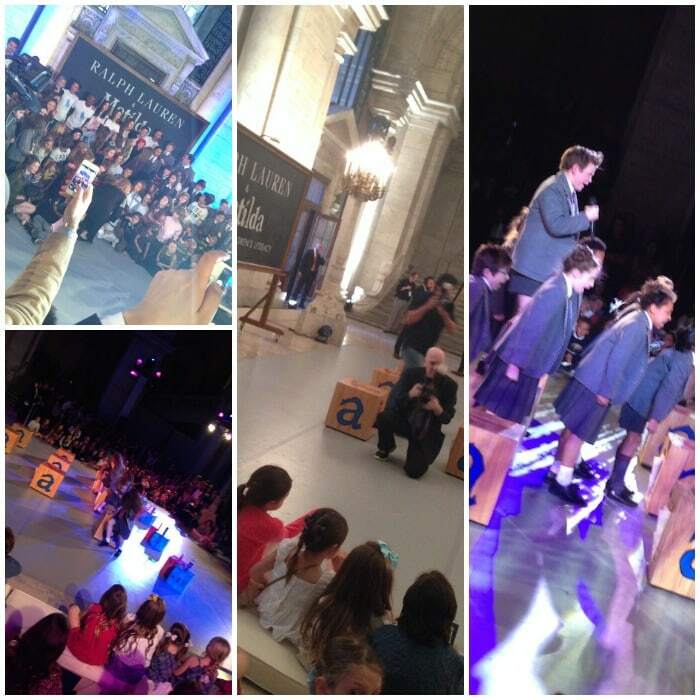 Here are some shots of David Lauren before the event and some runway shots from the wonderful show! 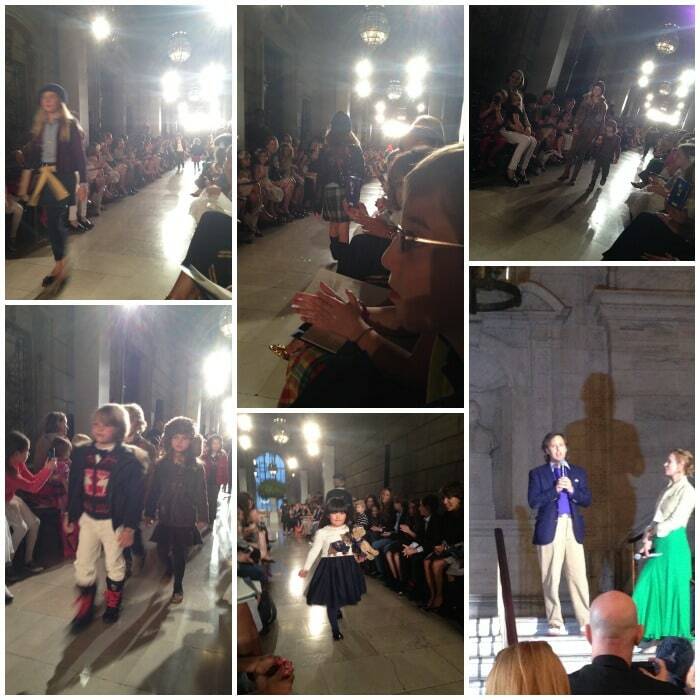 See more of Ralph Lauren’s Children’s Collection here. Once the runway show was over, we had the very distinct pleasure of watching a scene from the broadway musical Matilda The Musical. It was a great surprise and the show met all surprise with great entertainment. Such fantastic kids, great costumes, priceless dance routines. Natalie, Liam, and I LOVED it. We actually can’t wait to find the time (and a sitter for Caleb) to go see the show with Vera! 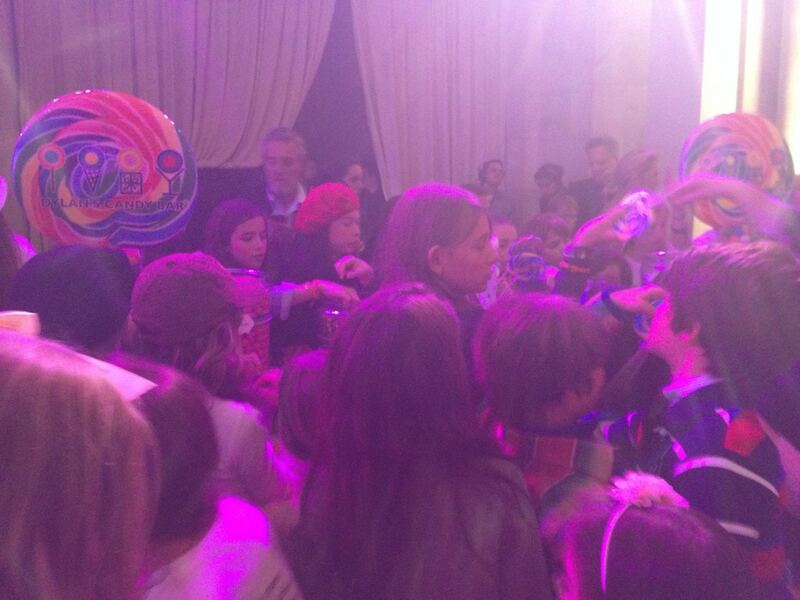 If that was not enough, the night was capped off with a Dylan’s Candy Bar (Natalie had her third birthday party here, by the way)…which, as you can see, was clearly the mob scene, hit of the evening. And how could one argue with that? 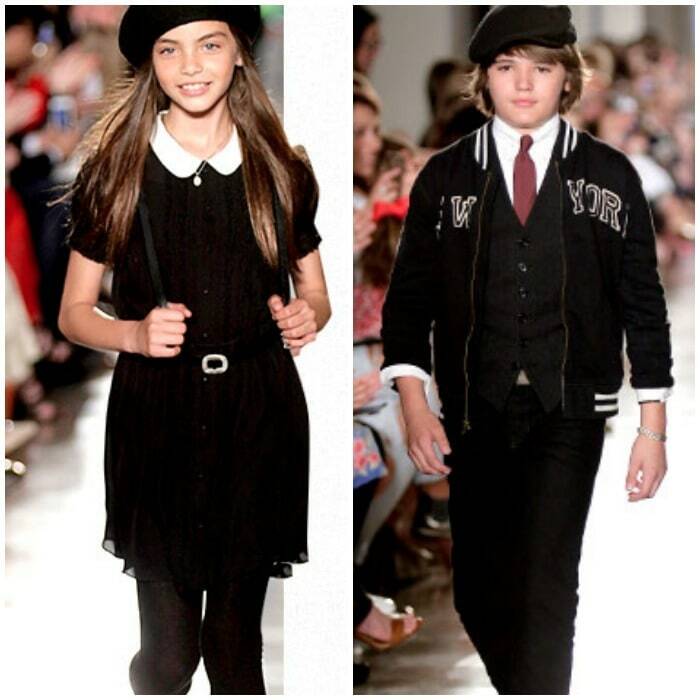 Top photo, “black and white runway collage,” and the first Matila photo courtesy of RalphLauren.com, remainder property of Lady and the Blog LLC.